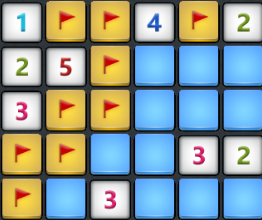 While solving another Minesweeper puzzle, I ran into yet another unsolvable corner. Well, actually, this time I have two unsolvable corners in the same puzzle. Which squares have the best chance of being safe? What is the overall probability I'll be able to solve this puzzle without hitting a mine? There are 7 mines remaining overall in the puzzle. After opening some further squares based on the clues, can you come up with the solution for this corner? How far can you solve the other corner based on this? Since R2C6 dictates that R2C5 has to be a mine, and the rest follows. Hence it is confident that R2C5 is a mine and R2C4/C6 are safe. Depending whether R3C4 is 2/3/4, there are various subcases. R4C4 is revealed by R3C5 (M if it is 2, S if it is 1) and R4C3 is subsequently revealed. The crucial 4 squares as per Scenario 1/2 above could be derived using the same pairing logic (2 mines always at R4C3&R5C4 or R4C4&R5C2). R5C5 could then be derived from R4C4 or R5C4. It becomes clear that R5C5/C6 are mines. R3C4 & R3C5 will determine R4C3/C4 .... and the rest follow the above logic. Okay I have to take a break after this lengthy post phew. Assumptions: I am not entirely sure if Scenario 1 could exist, as if both R5C5/C6 are S, would this be already revealed by clicking R4C5/C6 (which has been done by TS). 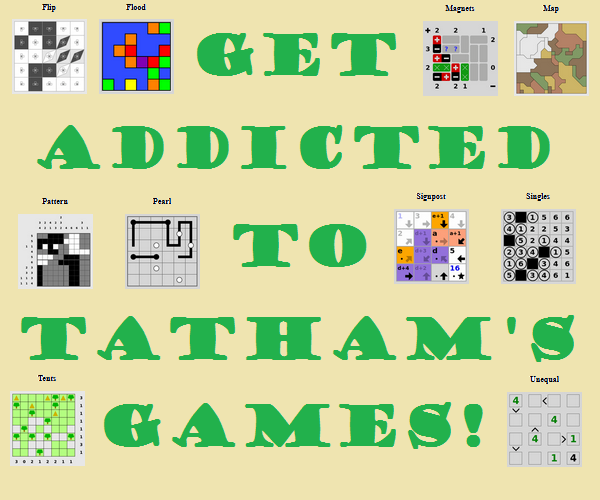 Would require some more frequent minesweeper players to confirm this. The scenario arrived by TS currently is Scenario 3, which means that it is 100% possible to solve it from here onwards. Not the answer you're looking for? Browse other questions tagged logical-deduction probability minesweeper or ask your own question. Can you create a Minesweeper puzzle with 'information crossover'? One More Twin Puzzle: Four Days Difference? 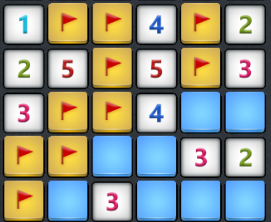 Is there a definite answer to this Minesweeper puzzle? If not, which square has the best chance of being safe?